Lars has turned a passion for landscapes and all that live in them, into a career. A camera-toting conservationist, using images to share his ideas and musings. Educated as an ecologist he has an understanding of the relationships between individuals of species and their environment. In his work, Lars seeks to explore that connection: in an editorial context, his work goes beyond superficial beauty, but ads that storytelling aspect. Superficial glamour is not what he's after. 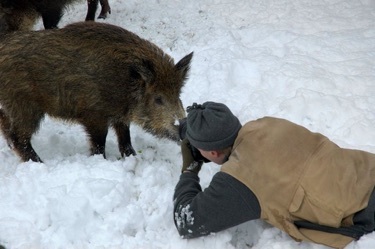 Lars strives to connect the life of wild animals to peoples lives. That is why many conservation organisations choose the work of Lars and his Vildaphoto colleages for their publications. Starting a photography career in 1996, his early work was published in several magazines. Since then, he worked with most conservation organisations and made several appearences on tv. He became 'residential photographer' with the Dutch National Parks foundation. 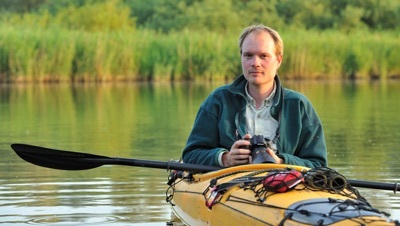 Lars is editor in chief of a BirdLife Netherlands magazine and also a member of the national council of a conservation organisation. He works as an advisor with several publications and is available for consulting work in the area of conservation communication and professoinal photography workflow.